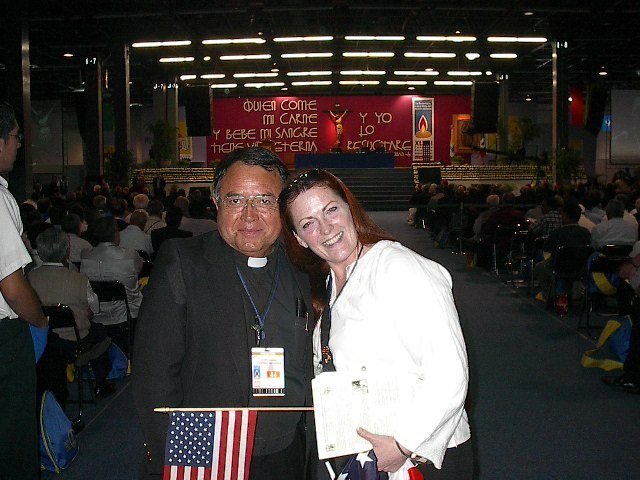 Most Rev Gustavo Garcia-Siller, Archbishop of San Antonio, Texas (USA) calls Women to be “Prophets of Hope” during the 2015 Catholic Women’s Conference organized by The Pilgrim Center of Hope. 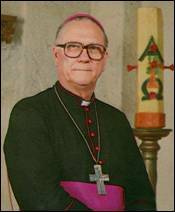 You are cordially invited to celebrate the 70th Anniversary of the Ordination of The Most Reverend Bernard F. Popp, Auxiliary Bishop (Emeritus), Archdiocese of San Antonio, to be held on Thursday, February 21, 2013, 7:00pm Mass at St. Anthony de Padua Catholic Church. Reception to follow in the parish hall. Come join us as we celebrate one of the eldest, most beloved bishops of Texas! All are welcome! Reception to follow after the Mass at St. Anthony Parish Hall. Gules, in chief a sheaf of wheat fold, a fesse wavy silver, in base vert dexter a star silver, sinister a lion rampant gold tongued gules. The red (gules) background at the top (chief) of the shield displays a sheaf of wheat in gold; in this, the most honorable point of the shield, Bishop Popp proclaims his desire to be of service to the people, especially to the poor and those in need. Red is the color of love, sacrifice, and zeal, while the sheaf of wheat stands for fertility, growth and harvest. Wheat associated with bread is a symbol of gift and giving, as well as fellowship, as in the breaking of bread together. A traditional symbol of the Eucharist, wheat here recalls Jesus present in the bread and points to Bishop Popp’s commitment of bringing Jesus to the people as their spiritual food. The horizontal band of silver (gesse wavy) that divides the shield is a symbol of the city of San Antonio with the river winding through; it names the place of Bishop Popp’s priestly service in the parishes in the city, including St. Agnes, St. Joseph’s, St. Patrick’s, St. Mary Madgalen’s as founding pastor of Holy Spirit parish, and at St. Paul’s. The green (vert) field at the bottom of the shield stands for the birtue of hope and names the town of Nada, the birthplace and hometown of the Bishop. The name Nada in Czech means “hope.” The town of Nada has truly been a green and fertile field for vocations to the priesthood and religious life. Bishop Popp is numbered among the thirteen priests and more than fifty religious who have come from Nada. The silver star on the bearer’s right of the shield (dexter) is the Lone Star of Texas, a symbol incorporated by many Texas Bishops in their coats of arms. The star stands for illumination, leadership and holiness. The gold lion, crowned wand standing upright (rampant) on the left (sinister) side, is taken from the crest of St. Ferdinand, King of Spain, after whom the San Fernando Cathedral is named. The lion is a traditional symbol of strength, courage and generosity, and here, in connection with the Cathedral, refers to the important part the Cathedral has played in the ministry of the Bishop: the place where he was ordained a priest, and now, a bishop, the church where he served as pastor and rector, the center of his various ministries to those in jail, the homeless, the sick and elderly. The Bishop’s middle name is Ferdinand, placing him under the special patronage of the saint. To complete the achievement of arms in place of the usual crown, an Episcopal hat in green and for the mantling, the double six-tassles of a bishop. A Tau cross in gold forms the hilt of the sword behind the shield. The Tau cross is the cross of St. Anthony, taken from the shield of the Archdiocese of San Antonio; it is a reminder of Bishop Popp’s origins and place of service as priest and Bishop. 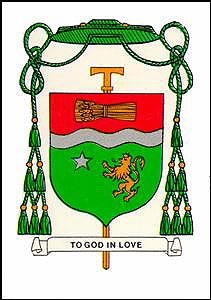 The coat of arms was designed by Sr. Mary Peter Tremonte, O.P. with heraldic notes by Sr. JoAnn Niehaus, O.P., both of San Antonio. O Virgin Immaculate, Mother of Jesus and our tender Mother, we invoke thee under the title of our Lady of the Most Blessed Sacrament, because thou art the Mother of the Savior who lives in the Eucharist, and because it was from thee that He took the Flesh and the Blood with which He there feeds us! We invoke thee under that title because, again, thou art the sovereign dispensatrix of all graces and, consequently, of those contained in the august Eucharist, also, because thou didst first fulfill the duties of the Eucharistic life, teaching us by thy example how to assist properly at the Holy Sacrifice of the Mass, how to communicate worthily, and how to visit frequently and piously the Most Blessed Sacrament. Lord Jesus Christ, our King and our God, who having become Man to make us sharers in Thy Divinity, art truly our Bread in the adorable Eucharist, grant, we beseech Thee, that in venerating so great Mystery, we may be mindful of the most sweet Virgin Mary, of whom Thou didst will to be conceived by the operation of the Holy Ghost! Grant, also, that we may imitate the worship that she rendered while on earth to this most august Sacrament, so that we may behold Thy Eucharistic kingdom spread and flourish throughout the whole world! O Thou who livest and reignest forever and ever! O Virgin Mary, Our Lady of the Most Blessed Sacrament, the glory of Christians, the joy of the universal Church, and the hope of the world, pray for us. Kindle in all the faithful a lively devotion to the most Holy Eucharist, so that they may all be made worthy to receive Holy Communion every day. Let us with Mary Immaculate adore, thank, supplicate and console the most sacred and beloved Eucharistic Heart of Jesus! O Virgin Immaculate, after having been present at the death of thy Divine Son on Calvary, where thou didst unite thy immense sorrow to the Redeemer’s sacrifice, thou didst frequently assist at the real, though mysterious, renewal of the adorable Sacrifice in the celebration of the Holy Mass. Teach us by thy example to esteem as it deserves the divine action performed at the altar, and obtain for us the grace to be able often, and even daily, to assist piously at the Holy Sacrifice. O Virgin Immaculate, thy Communions were the most fervent, the most holy that ever were made! When thou didst possess thy Divine Son in thy breast, thou didst love Him with a love exceeding that of any other creature soever for his God. Teach us to make Holy Communion the center of our life, and may that life be spent in preparing us for so great an action and in thanking God for so inappreciable a benefit! O Virgin Immaculate, who, after the ascension of thy Divine Son, didst console thy exile on earth by the Real Presence of Jesus in the Sacrament, and didst spend before the tabernacle the greater part of thy days and even thy nights, make us comprehend the treasure we possess on the altar. Inspire us to visit often the God of Love in the Sacrament in which He abides to receive the homage that He deserves by so many titles, and to guide, protect, and console us in this exile! 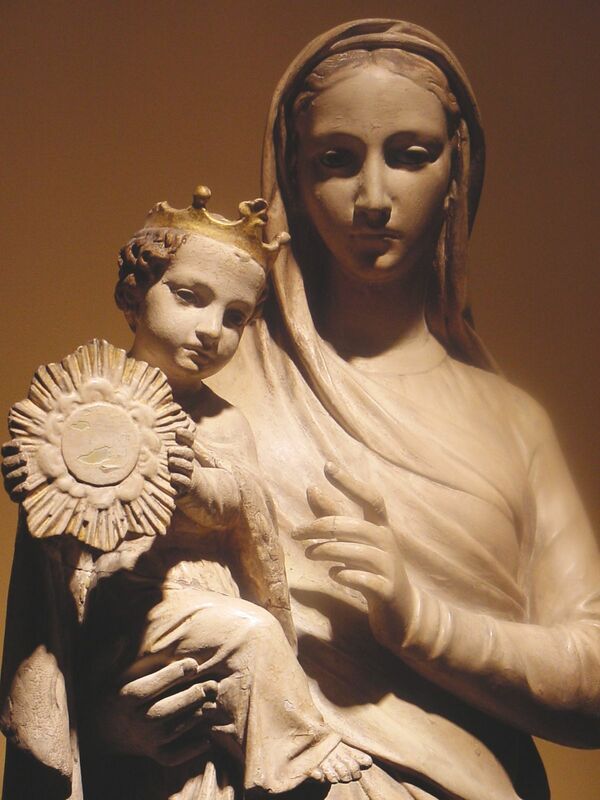 O Virgin Immaculate, thou art our perfect Model in the service of the Divine Eucharist. With the most lively faith and the most profound respect thou didst adore Jesus hidden under the sacramental veils. After thy example, we desire to render to the Sacred Host all the honor due the Divinity and the glorified Humanity of the Son of God made Man. We wish to maintain at all times in the holy place the modesty and recollection becoming true adorers. O Virgin Immaculate, who didst return to Jesus so perfect thanksgiving for the institution of the Divine Eucharist and the ineffable Gift in which the Savior exhausted His power and the treasures of His Heart, teach us to thank thy Divine Son for this great benefit, and especially to make our thanksgiving well when we have had the happiness of receiving Him in Holy Communion. O Virgin Immaculate, thou didst adore thy Divine Son in His state of perpetual Victim, always immolated on our altars, incessantly demanding, by His death, grace and mercy for sinners. We unite with thy dolors and thy perfect reparation. We desire to accept our daily trials for love of Him, and with thee to console Jesus for the ingratitude of men and the outrages He daily receives in the Blessed Sacrament. O Virgin Immaculate, while the Apostles went to preach the Gospel, thou didst remain close to the tabernacle, supplicating for them the goodness of the Savior, and thy prayer obtained for them the grace to convert the world! Teach us to pray, above all, to pray near the tabernacle, where Jesus wills to abide continually in order to hear our petitions. Teach us to pray for the extension of the Eucharistic kingdom, for the salvation of the whole world, for the exaltation of the Holy Church, and most especially for the sanctification of the clergy and the conversion of sinners. O Virgin Immaculate, Mother most loving, and admirable Model of adorers of Jesus in the Blessed Sacrament, thou art also the dispensatrix of the graces necessary to fulfill that great duty! Grant us, then, we beseech thee, as the fruit of this novena, the virtues that will render our adoration less unworthy of thy Divine Son. Teach us to honor so well this Mystery of mysteries that we receive here below the graces It contains, in order to enjoy in heaven the eternal life of which It is the pledge! on Saturday March 5th and Sunday March 6, 2011 in San Antonio, Texas. Click here for the FLYER with registration information. Cardinal Piacenza to Priests and Deacons. Join seven young, vibrant, thoughtful and vastly different Americans as they embark on the most extraordinary journey of their lives. 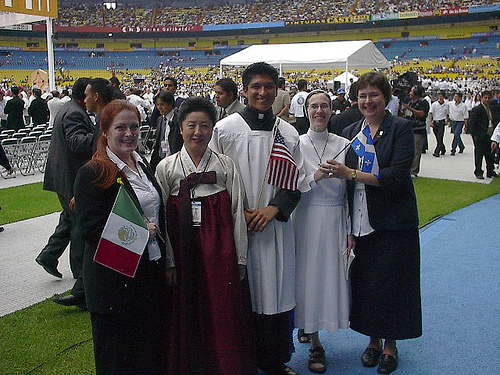 Representing Jewish, Muslim, Catholic, and Protestant faiths, each is ignited by the “call” to serve humanity and has decided to join the clergy. 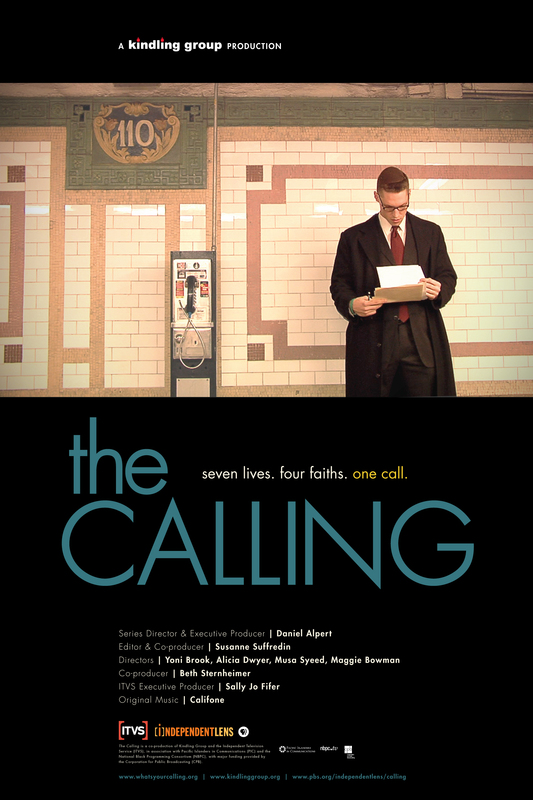 The Calling is a four-hour documentary series that follows them from their first days of training, through years of challenges, doubts, triumphs and surprises, and into their early practice as ordained professionals.